Raise your vibration with chakra crystals! How would you like to cleanse old energies, sharpen your intuition and manifest things faster? 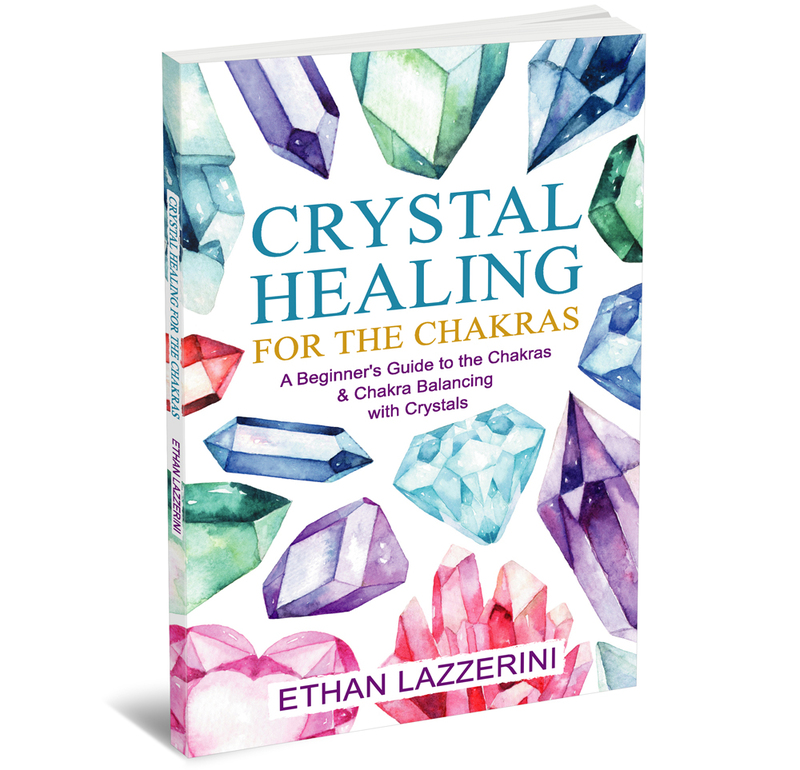 With over 25 years experience working with crystals, Ethan Lazzerini teaches you simple step-by-step exercises to cleanse, balance and align all your Chakras with crystals. 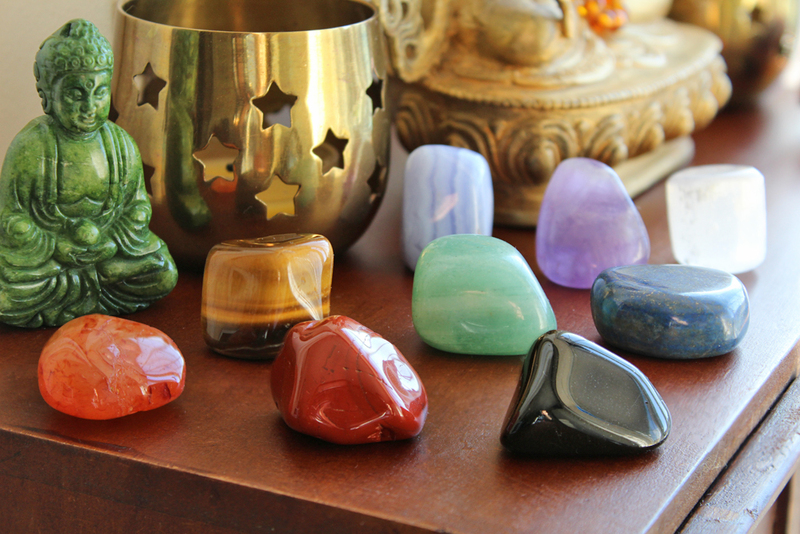 Balance your mind, body and spirit with ancient wisdom and the holistic power of crystals. This crystal clear modern guide gives you all the knowledge and practical tools you need to take charge of your well-being. Suitable for beginners and beyond, this book takes you further than the traditional seven Major Chakras by including the Soul Star and Earth Star Chakras. A great reference book, Illustrated with diagrams and full colour photos throughout. • Explore the role and associations of Nine Chakras. 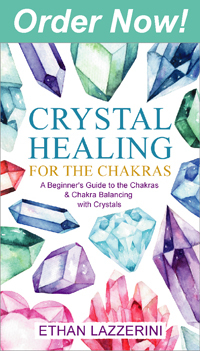 • How to tell if your Chakras are clear, balanced, weak or blocked. 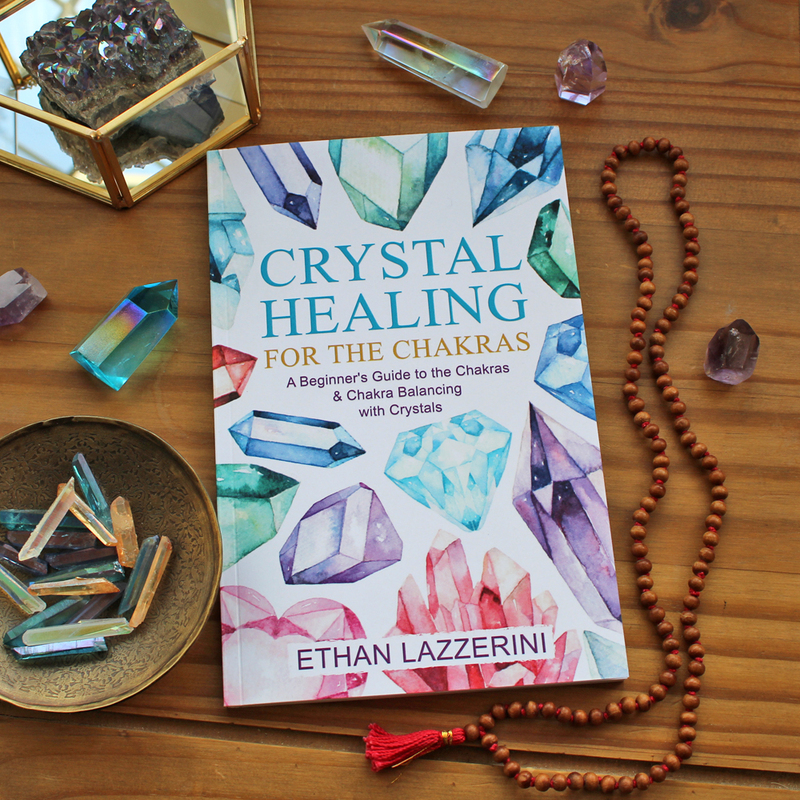 • Discover crystals that cleanse, balance & align the Chakras. • Clear old patterns and emotional blocks. 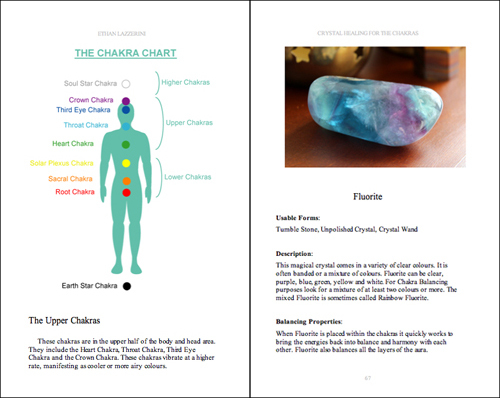 • Learn how To choose, program and use a Chakra Crystal Set. • Select the right crystals for your needs, every time. Or just search your Country’s Amazon site for ‘Crystal Healing For The Chakras by Ethan Lazzerini’. If not available you should be able to order the paperback Internationally from Amazon.com. Please note the paperback book has limited availability, so it is not available from book shops or other websites.